Food Connects was bursting at the seams. Our growing team meant that we quickly outgrew our wonderful space at the Retreat Farm. Knowing we would keep a strong partnership with their educational programming, we searched for a new place to call home. In November the Food Connects team said “We’re home!” to a 3,300 square foot warehouse space in the Brattleboro Development Credit Corporation Business Park. We traded in the sounds of farm animals for the sounds of pallet jacks. And although it does not have the stunning views as the old farmhouse, we have something essential to our future—room to grow. Spacious office areas allow our teams to work more effectively. Having our coolers, freezers, and dry storage in one area allows our Food Hub to more efficiently manage products. And our favorite feature? Access to a loading dock! Our box truck and van can now simply drive up to the door and we can load up right away. This means we spend less time moving back and forth from space to space to complete orders and receive more accurate orders! Amazingly, with all of the equipment and areas we have set up, we still have space! We are looking towards the future to envision how we can best use the rest of the space. We are eager to see what partnerships with our neighbors, Against the Grain and the Vermont Foodbank, may bring. We are fortunate to have a great partnership with Harlow Farms that allows us to use their cooler space and we have plans to add a walk-in cooler and freezer to store products in our new location. And we can’t wait until we are able to host our first public event in this space! 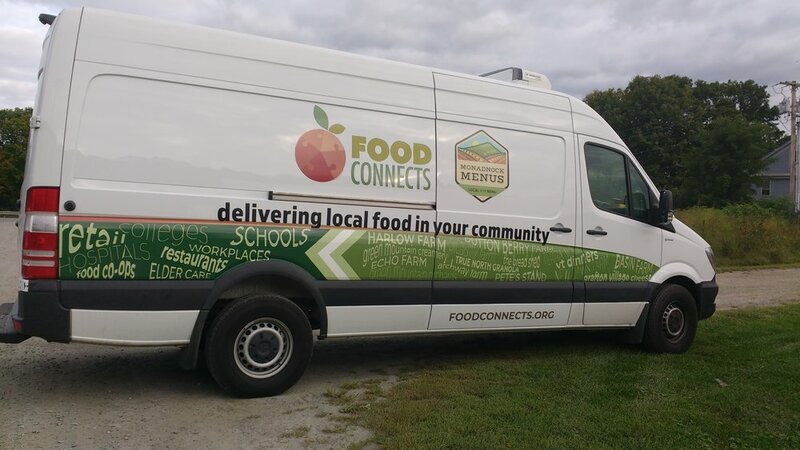 If you are interested in learning more about our ideas for the future or funding any projects please contact info@foodconnects.org.